Acura showcases the all-new Acura RDX in a new ad, highlighting that “It’s everything we ever imagined. And then some”. 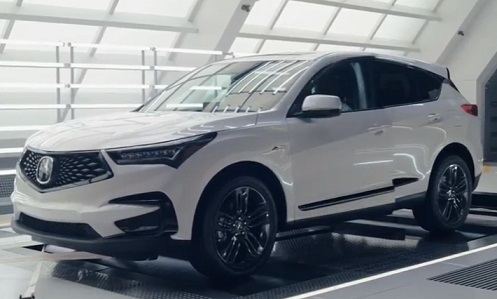 The 30-second spot features a man in a test lab, getting at the wheel of the 2019 RDX and imagining, after starting the engine, that he goes around the Earth, in the outer space, at the speed of light. When he gets out of the car, a specialist tells him “Welcome back!” as if he knows where the “driver’s” turbocharged imagination had taken him. The song used in the ad is Metallica’s version of “Dyers Eve” (originally by Revocation), released in 1988 and included on their fourth studio album, “…And Justice for All”. The automaker states that,”With its powerful 272-hp, turbocharged, VTEC engine, Integrated Dynamics System with Sport+ mode, and available Super Handling All-Wheel Drive, the RDX delivers a whole new level of Precision Crafted Performance”. Earlier this year, the legendary rock band has revealed the contents of the 30th anniversary edition “…And Justice for All” box set, which includes a remastered version of “Dyers Eve” and a live recording of “Eye of the Beholder” from an October 10, 1988 performance at the Hammersmith Odeon in London, England. The box set also includes the original album remastered on CD and 180G vinyl, six live CDs, a 120-page book filled with never-before-seen photos and more.